Due to the ever increasing price of precious metal, Stainless Steel jewellery is becoming more popular and global production is rapidly increasing. Pro-HT Steel is designed to produce castings with exceptional dimensional accuracy and detail reproduction with high level of surface finish. 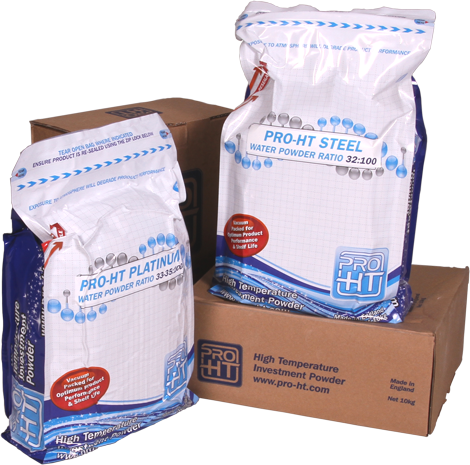 Pro-HT Steel is invested using the traditional rubber base and steel flask system and can be burnt out using the Pro-HT burnout cycle 90 minutes after investing..